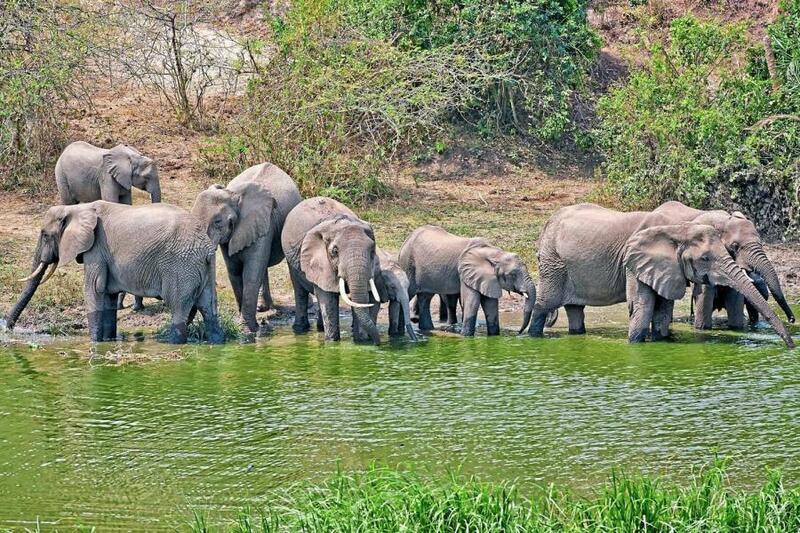 The African landscapes that featured in the film King Solomon’s Mines, and are home to a host of elephants and other iconic species, are the focus of a pioneering Investment Forum being staged today to protect Uganda’s wildernesses and wildlife. The Giants Club Conservation and Tourism Investment Forum will encourage businesses to invest in Uganda’s national parks and other conservation areas to help raise vital funds to support the country’s wildlife. It is the first such event ever staged in Africa. Uganda has the continent’s fastest growing elephant population but, with urgent development needs and a limited budget, lacks financial resources to fully support its conservation requirements. Among those attending the event will be Giants Club patron Evgeny Lebedev, the proprietor of the Evening Standard. He will be accompanied by his father, Alexander Lebedev, and Evening Standard Editor George Osborne. The sale in the UK of almost all ivory, including “antique” items, would be banned under new government plans to help end elephant poaching. Proposing the ban, Environment Secretary Michael Gove said the decline in elephant populations fuelled by poaching for their tusks “shames our generation”. 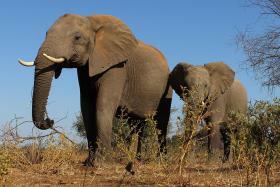 There are concerns that the legal market in ivory in the UK has been used as a cover for the illegal trade. Britain also makes legal shipments of antiques to Asia, helping supply the world’s largest ivory markets which are driving the poaching crisis. Existing rules allow for worked or carved items produced before March 3, 1947 to be sold in the UK while sale of raw ivory of any age is prohibited. Under the new proposals, which are being put out for consultation, sales of the older worked items would be banned. There would be exemptions for some items, such as pianos with ivory keys and artefacts with significant historic, artistic or cultural value. They will be joined by Erik Solheim, executive director of UN Environment, who will be making one of the keynote speeches. The Giants Club, backed by the Standard, was launched by international conservation group Space for Giants. It unites political leaders, philanthropists, business chiefs and conservationists in developing innovative new solutions to protect Africa’s key remaining wildernesses. Over the past year it has worked with its partners, the United Nations Development Programme and the African Wildlife Foundation, to help Uganda identify which of the country’s 3.1 million hectares of wildlife zones would suit new international investment. Among them were sites in Murchison Falls National Park, which served as a backdrop in the 1950 film adaptation of H Rider Haggard’s book King Solomon’s Mines, starring Deborah Kerr, Stewart Granger and Richard Carlson. “Uganda is truly a treasure in terms of the beauty and the biodiversity of its natural wildernesses, and their potential as economic assets to benefit the country as a whole,” said Max Graham, chief executive of Space for Giants. Also attending the forum are senior figures who run tourism and conservation businesses specialising in low-impact, high-value operations. They include Derek De La Harpe of Wilderness safaris, David Stogdale of Great Plains Conservation, Gerard Beaton of Asilia Africa and Patrick Fitzgibbon, senior vice president for Africa and Europe at the Hilton Group. WHEN people think about what’s needed to conserve our planet’s biodiversity and protect its ecosystems, involving big business and the private sector rarely appears high on the list. The thinking is that this task falls to governments, international organisations like my own, United Nations Environment, and charities and non-government organisations. This couldn’t be further from the truth. Many businesses now realise that their customers increasingly demand environmental responsibility and the sustainable use of natural resources. More see green business as good business. Reacting to satisfy those demands can make the private sector among the planet’s greatest forces for positive change. In Uganda, private business, pragmatic government, supportive global institutions and smart conservation are today meeting to try to safeguard some of Africa’s most pristine natural places. It is what makes the first Giants Club Conservation and Tourism Investment Forum so unique — and so important — and why I am delighted to be giving one of the key speeches at the event. At UN Environment, we know that the private sector, when it acts responsibly and in a sustainable manner, can be essential to the success of conservation. It is why one of my key goals is to help unlock this opportunity — and work alongside businesses who genuinely care about the environment. Uganda is home to the greatest concentration of mountain gorillas and other primates in the world. It stands on the frontier between East Africa’s savannah grasslands and Central Africa’s dense rainforests. Protecting such treasures should not be considered a cost, but rather an investment that will yield huge returns. Across Africa the scale of the challenge of protecting forever the world’s remaining wildernesses means that we need to come up with models for success. Innovative approaches, forged with a view to long-term and sustainable gain, are what we need. By taking the lead, and in partnership with the Giants Club by hosting Africa’s first ever Conservation and Tourism Investment Forum, Uganda is doing exactly that. It is why, as head of UN Environment, I am proud to support them and wish today’s forum the greatest success.